Following the aftermath of yet another Bullet Club implosion at The Cow Palace in San Francisco this past weekend, Bullet Club frontrunners Kenny Omega and Tama Tonga took to their social media in order to weigh in their thoughts on the birth of The Bullet Club Firing Squad. This past weekend at The G1 Special in the US, Bullet Club’s Kenny Omega successfully defend the IWGP Heavyweight Championship against ‘The American Nightmare’ Cody Rhodes in what was one of the most hard-hitting and gruesome singles matches of this year. However, after Omega’s triumphant title defense against Cody, the former along with The Young Bucks—collectively known as The Elite—were brutally attacked by fellow Bullet Club members Tama Tonga, Tanga Loa, and the legendary Haku. Shortly afterward, fellow Bullet Club members such as the likes of Hangman Page, Marty Scurll, Chase Owens, and Yujiro Takahashi also suffered the same fate, as every single Bullet Club member was laid out in the ring thanks to the newly formed Tongan trio. 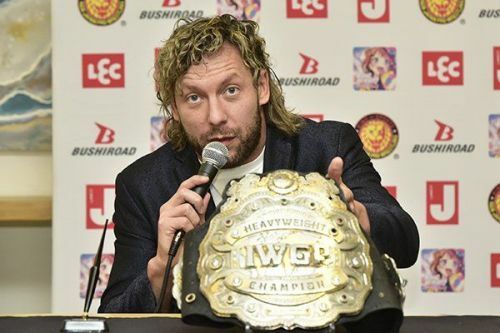 After the conclusion of the first-ever G1 Specials in San Francisco, Kenny Omega took it to Twitter and stated that he is indeed very proud of his first IWGP Heavyweight Championship defense, since winning the title of ‘The Rainmaker’ Kazuchika Okada at Dominion 6.9. Omega, who was also seen burying the hatchet with his arch-rival Cody, additionally noted on the social media that he is proud of his friendship with ‘The American Nightmare’ as well and as far as The Firing Squad is concerned, they will apparently be dealt in due time. Kenny Omega and Tama Tonga will square-off at the G1 Climax 28 within two weeks time and only time will tell what’s in store next for The Bullet Club.